Planet Coaster :: Update 1.7 - Vintage Pack LIVE now! Update 1.7 - Vintage Pack LIVE now! 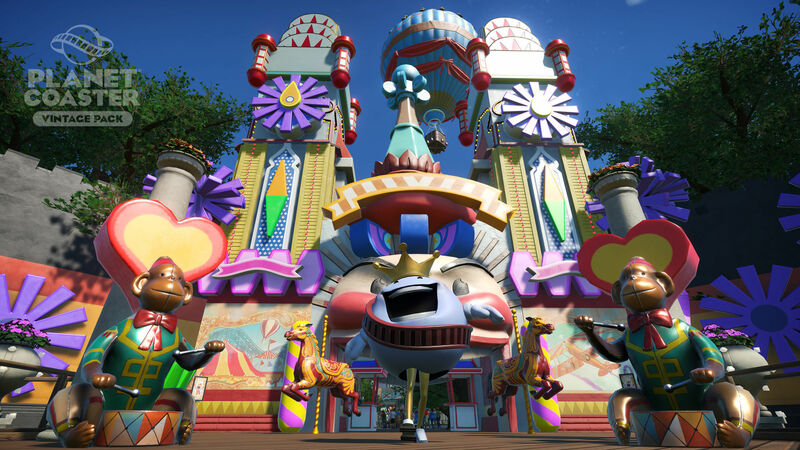 As per our announcement post[forums.planetcoaster.com], our new Pack is deliciously full of things for you to (re)discover: we've got two new wooden coasters, five new rides, loads of new scenery items and building pieces, popcorn and gumball machines, a Crane and Zoltan machine, animatronics, lightbox lettering, and more! For full details on what the Vintage Pack contains, please see the update notes below. Part of update 1.7 is another free update as well, featuring the new Mouse Hunt coaster, a full planter set, vending machines, recolourable staff members, filters, and more! You can get the Vintage Pack for £7.99 on the Steam or Frontier store now. Please keep in mind that it's completely optional for you to purchase; we're very grateful for all your continued support. Hurricane ride - twisting action that’s so fast you’ll not know what is up or down! Edited: Now with more video ~Brett. when are you going to add animals or at least water parks? YESSS!!!! A NEW DLC!! I NEED MORE, I AM SO RICH! I Love that you keep updating the game with new content but you guy's should really do something on the price problems. 8 pounds is nowhere near the €11 we need to pay in the eurozone. bt deluxe is only a few dollars. and that link is for an update that came only 1 month ago. Best game ever, Bring on all the DLC I Love it ! You Rock!!! Thnx for another great DLC! love the game...howeverrrr... still eager for water theme/pools/slides. Great game, great dlc.... keep up the good work and continued support Frontier!! Neato Burrito the white knight.